Foreign language free. Learning foreign words. Online translate World Languages. Green card. Free download PDF. 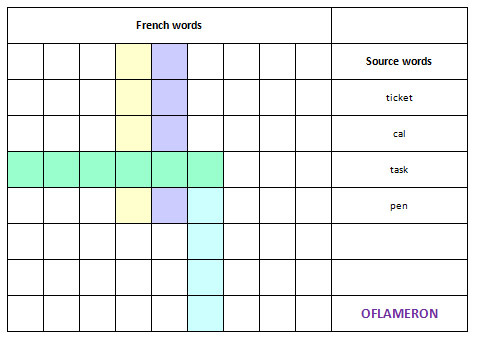 World Languages with paper game - Use of one more game options OFLAMERON with tables for memorizing foreign words. 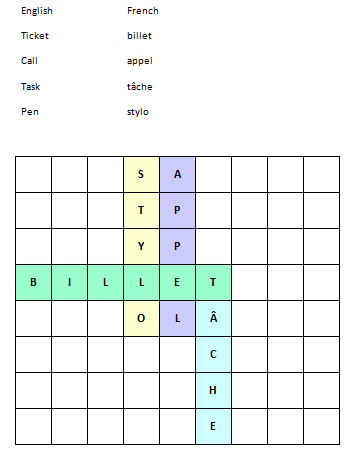 Let's do the simplest crossword of 4-6 words. It is enough 4-6 intersections of words in the table. Let's paint over in the cells occupied by foreign words in different colors. The player is given such table and a set of word translations (in the native language). 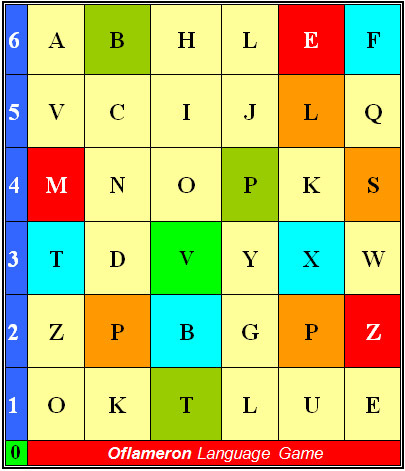 The player must enter foreign words to get the correct crossword. You can easily adjust the complexity of classes. It is enough to increase the number of words in the table and the number of intersections. You can let each student make such a table. In the classroom, students change with tables and complete the task. 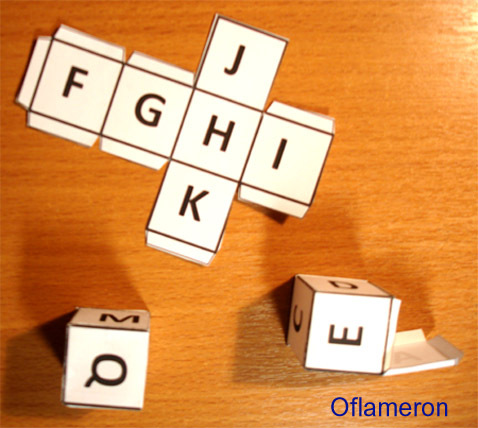 To make the task not so easy, make foreign words of at least 5-6 letters long.